AJ as Maui from Moana. He loves the movie so we figured why not?! 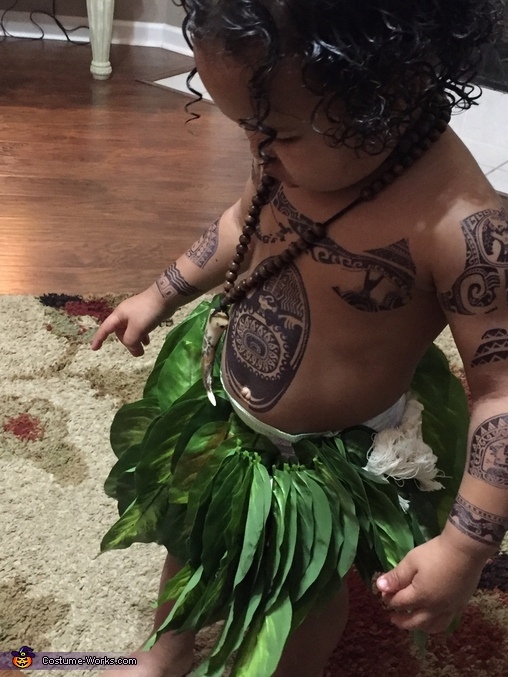 He is complete with a homemade skirt made from ropes and leaves, tribal tattoos, a necklace, and Maui’s famous fish hook.